Satin black stem with white Thorn logo on the faceplate. What is the weight of this stem? 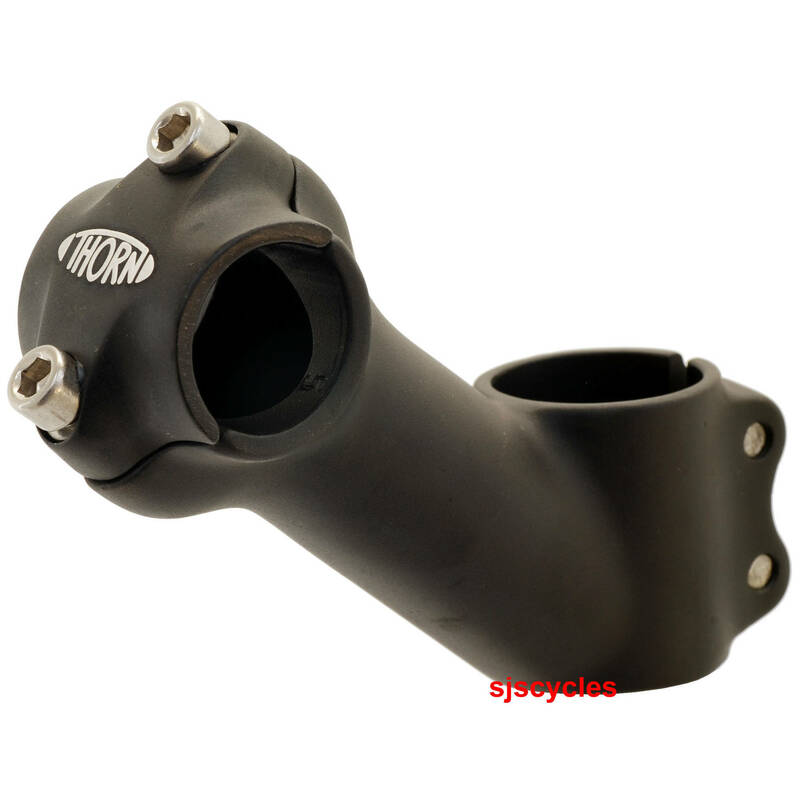 Thank you for your enquiry, this stem weighs 152g. We hope this helps. Can I Use This With Deda Quill Stem Adapter? What Is Bar Diameter Of This Stem? Please confirm bar diameter, is it 25.4 mm? Yes it is 25.4mm, all of the stems in this category use the standard 25.4mm bar clamp.